Leaving the University of Minnesota for the last time without a diploma in his hand, Roman Moore, HHS alumnus, was ready to start new. He dropped out of college and prepared to begin a new chapter of his life. After watching his brother struggle to find a job and eventually move back in with his parents despite having received his diploma, Moore couldn’t bring himself to stay at the U. He strongly believed that going to college was not the path for him. Moore isn’t alone in his conquest, either. According to CreditDonkey, 57 percent of students enrolled in college aren’t finished after six years. Of those students, 33 percent of them end up dropping out. What makes his story more unique than the rest is what he did afterwards. With only a bag of clothes, his laptop, a camera, and $300, Moore bought a one-way plane ticket to California. Moore is taking part in a challenge, or social experiment, known as the homeless challenge. While some do it to raise money or awareness for the homeless, Moore is doing it in hopes of making a living. He records his daily interactions on his camera and uploads the footage to his Youtube channel Club Hollywood. According to the New York Times, nearly 554,000 people were homeless across the United States in 2017, and more than 25 percent of them lived in California. 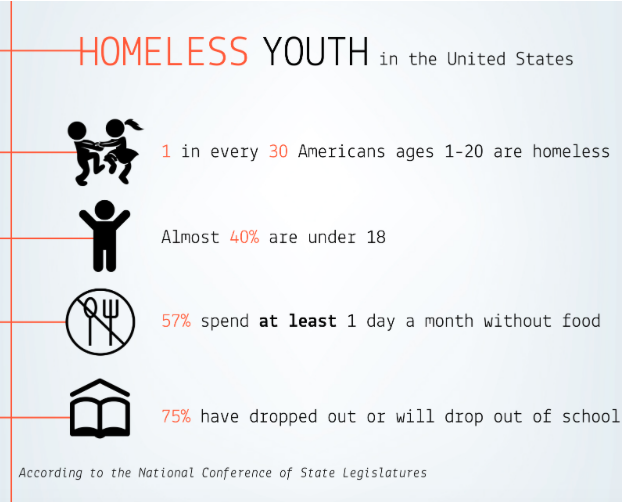 Leading the nation just behind New York City, California has the second highest number of homeless people in America. And Moore is only adding to the pot. He doesn’t plan on leaving anytime soon.